GNCM -40A is one of GN models of the drilling waste management package , it is contains of vertical cuttings dryer , decanter centrifuge , centrifuge feeding pump , mud agitator and work plat form . 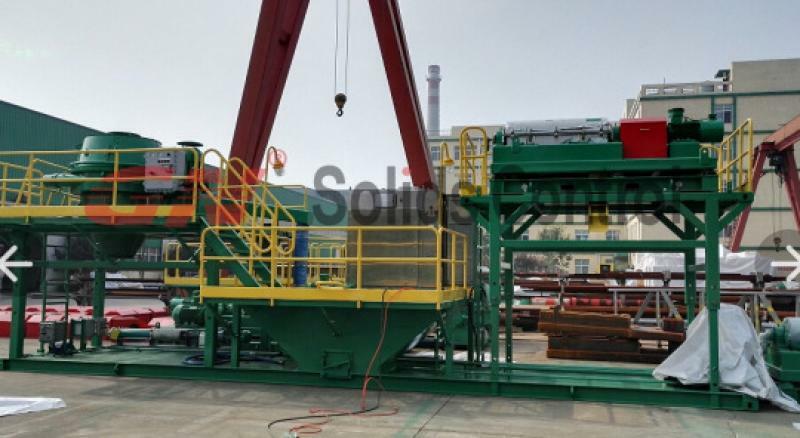 This is one of the popular model for drilling waste management in oil and gas industry to work as a package . This design can be working in a drilling waste management working plant or work beside solids control system on drilling site depending on client request . The work plat form is the base of a whole package to hold all equipment and attachment together for fast moving . The work plat form contains 3 main different part , the first part is a vertical cuttings dryer plat form with a high skid to sit dryer , handrail and walkway for working on top . The second part of plat form is a small holding tank to hold mud after vertical cuttings dryer with a mud agitator on top and a slurry pump for feeding decanter centrifuge . The third part is the centrifuge work plat form with a high skid to allow centrifuge discharge into a tank by weight instead of by pump . Vertical cuttings dryer and decanter centrifuge are the 2 main equipment for GNCM -40A drilling waste management package , the dryer will be mainly to dry drilling cuttings from solids control system and keep sure drying effeiciency bellow 5 percent and discharge fluids content recycled into holding tank , the centrifuge will be fed by a pump from holding tank for recycle drilling fluids and discharge clean mud into solids control system or to a storage mud tank . There are different option for decanter centrifuge and vertical cuttings dryer , VFD control is the top option with PLC control . Now many drilling industries and some other fields are using more and more decanter centrifuges due to the excellent performances of them. So it’s quite important for operators to know some repair knowledge to maintain the decanter centrifuge in a good condition. As we all know, if we can take care of the decanter centrifuge carefully, and when we use it for working, follow the working principles strictly when it’s working.After using the decanter centrifuge, the workers do some regular maintenance according the operation manual. It’s sure the life ot decanter centrifuge can be prolonged and extended. 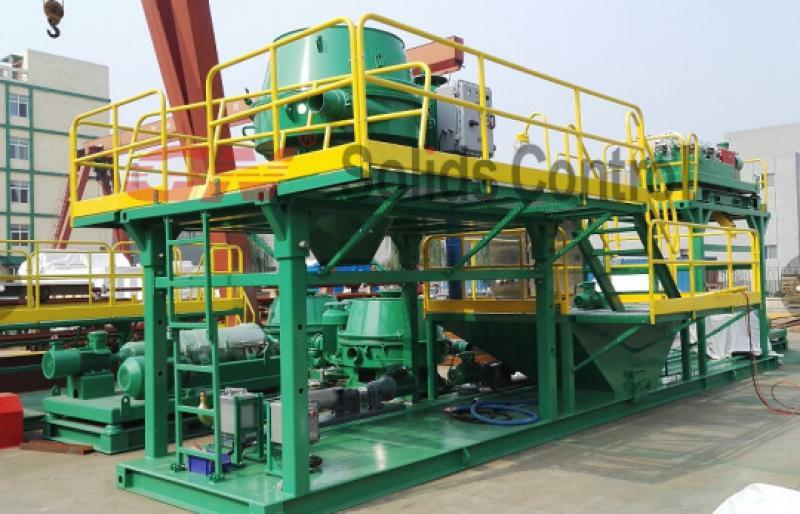 In order to avoid any rust or dust to fall into the inner of the drilling centrifuge, workers should certainly mop the external of the machine to make sure it is dry and clean. Secondly, during our daily use, the decanter centrifuge’s conveyor and conveying belt are very easy to be loose , so it need to be frequently checked up and to be exchanged if they are do not work well. We should also check the easily wearing parts of the machine and the operating situation of the electric system of the machine and attach great importance to the battery system regularly. We all know in order to have a very high level of concentricity between the Differential mechanism and the main body of the decanter centrifuge. We must be very careful when the decanter centrifuge machine is installed at the work site. 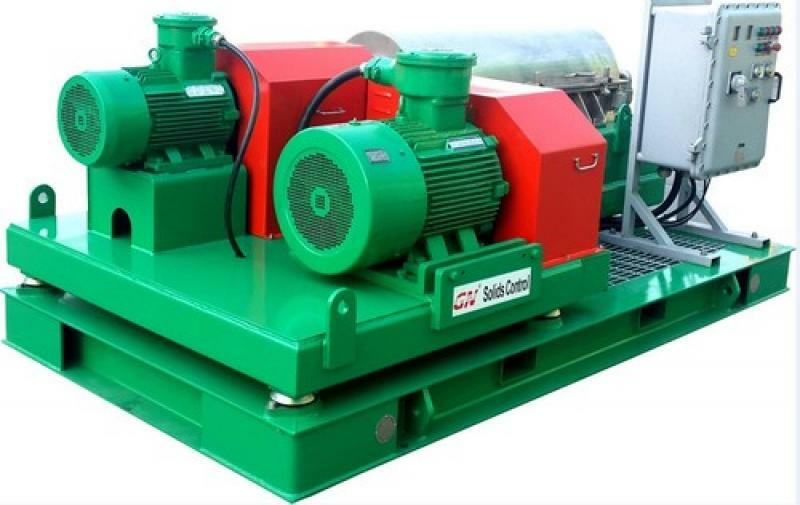 To make sure and guarantee the necessary shaking when decanter centrifuge is operating, if the connection between the two parts of a machine, than a cooper chip should be put between the the conveying belt and differential mechanism. Due to assorted reasons, the machine cannot work as well as the beginning, this phenomenon cannot be avoided. We will need to do an overhaul of the machine after some working time of a decanter centrifuge machine.